Now I have met and known a few of these folks over the years. Most of them are pretty good guys to have around. Just do not piss them off or let them near your Female friend and relatives. Just saying. Now most of the time. They are armed with the standard issue weapons of the time. Which have ranged from the Brown Bess of the French & Indian War. 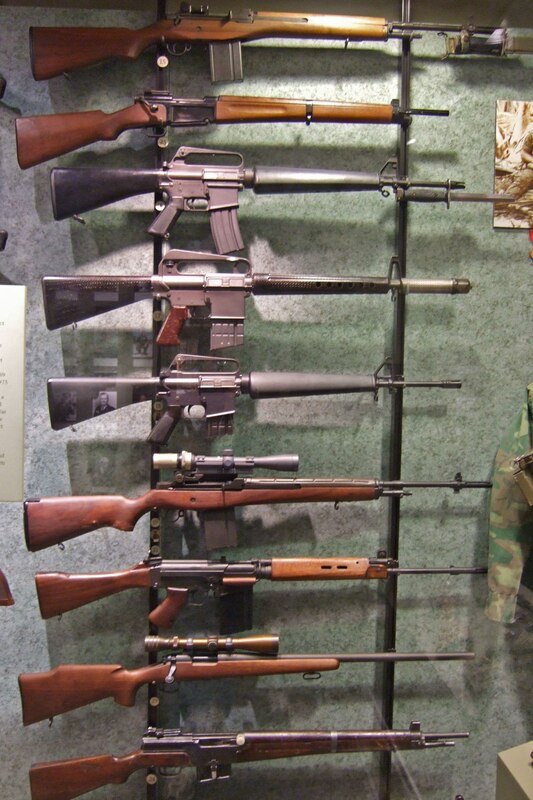 Up to today’s Army weaponry. “US Army Ranger” redirects here. For the racehorse, see US Army Ranger (horse). The United States Army Rangers are an elite rapid-deploymentmilitary formation of the United States Army, that serve in designated U.S. Army Ranger units or are graduates from the U.S. Army Ranger School. The term ranger has been in use unofficially in a military context since the early 17th century. The first military company officially commissioned as rangers were English soldiers fighting in King Philip’s War (1676) and from there the term came into common official use in the French and Indian Wars. There have been American military companies officially called Rangers since the American Revolution. The 75th Ranger Regiment is an elite airborne light infantry combat formation within the United States Army Special Operations Command (USASOC). The six battalions of the modern Rangers have been deployed in wars in Korea, Vietnam, Afghanistan, and Iraq, and saw action in several conflicts, such as those in Panamaand Grenada. The Ranger Regiment traces its lineage to three of six battalions raised in World War II, and to the 5307th Composite Unit (Provisional)—known as “Merrill’s Marauders“, and then reflagged as the 475th Infantry, then later as the 75th Infantry. 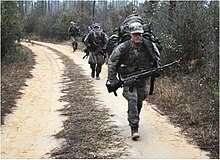 The Ranger Training Brigade (RTB)—headquartered at Fort Benning—is an organization under the U.S. Army’s Training and Doctrine Command (TRADOC) and is separate from the 75th Ranger Regiment. It has been in service in various forms since World War II. The Ranger Training Brigade administrates Ranger School, the satisfactory completion of which is required to become Ranger qualified and to wear the Ranger Tab. Rangers served in the 17th and 18th-century wars between colonists and Native American tribes. The British regulars were not accustomed to frontier warfare and so Ranger companies were developed. Rangers were full-time soldiers employed by colonial governments to patrol between fixed frontier fortifications in reconnaissance providing early warning of raids. In offensive operations, they were scouts and guides, locating villages and other targets for taskforces drawn from the militia or other colonial troops. In 1622, after the Berkeley Plantation Massacre … grim-faced men went forth to search out the Indian enemy. They were militia—citizen soldiers—but they were learning to blend the methods of Indian and European warfare…As they went in search of the enemy, the words range, ranging and Ranger were frequently used … The American Ranger had been born. The father of American ranging is Colonel Benjamin Church (c. 1639–1718). He was the captain of the first Ranger force in America (1676). :33 Church was commissioned by the Governor of the Plymouth Colony Josiah Winslow to form the first ranger company for King Philip’s War. 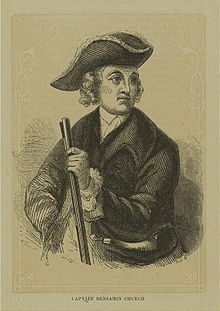 He later employed the company to raid Acadia during King William’s War and Queen Anne’s War. Church developed a special full-time unit mixing white colonists selected for frontier skills with friendly Native Americans to carry out offensive strikes against hostile Native Americans in terrain where normal militia units were ineffective. His memoirs Entertaining Passages relating to Philip’s War is considered the first American military manual (published 1716). Rogers’ Rangers was established in 1751 by Major Robert Rogers, who organized nine Ranger companies in the American colonies. These early American light infantry units, organized during the French and Indian War, bore the name “Rangers” and were the forerunners of the modern Army Rangers. Major Rogers drafted the first currently-known set of standard orders for rangers. 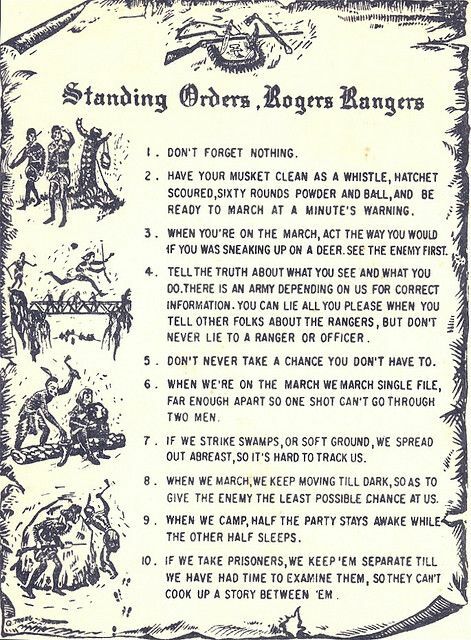 These rules, Robert Rogers’ 28 “Rules of Ranging”, are still provided to all new Army Rangers upon graduation from training, and served as one of the first modern manuals for asymmetric warfare. When the American Revolution began, Major Robert Rogers allegedly offered his services to General George Washington. Fearing that Rogers was a spy, Washington refused. An incensed Rogers instead joined forces with the Loyalists and fought for the crown. While serving with the British, Col. Rogers was responsible for capturing America’s most famous spy in Nathan Hale. Not all of Rogers’ Rangers went with him, however, including such notable figures as Israel Putnam. Later on during the war, General Washington ordered Lieutenant Colonel Thomas Knowlton to select an elite group of men for reconnaissance missions. This unit was known as Knowlton’s Rangers, and is credited as the first official Ranger unit (by name) for the United States. This unit, however, carried out intelligence functions rather than combat functions in most cases, and as such are not generally considered the historical parent of the modern day Army Rangers. Instead, Knowlton’s Rangers gave rise to the modern Military Intelligence branch (although it was not a distinct branch until the 20th century). Francis Marion, the “Swamp Fox” Revolutionary commander of South Carolina, developed irregular methods of warfare against the British army. As one of the fathers of modern guerrilla warfare, he is credited in the lineage of the Army Rangers, as is George Rogers Clark who led an irregular force of Kentucky/Virginia militiamen to capture the Bristish forts at Vincennes and Kaskaskia, Illinois. In January 1812 the United States authorized six companies of United States Rangers who were mounted infantry with the function of protecting the Western frontier. Five of these companies were raised in Ohio, Indiana, Illinois and Kentucky. A sixth was in Middle Tennessee, organized by Capt. David Mason. The next year, 10 new companies were raised. By December 1813 the Army Register listed officers of 12 companies of Rangers. The Ranger companies were discharged in June 1815. During the Black Hawk War, in 1832, the United States Mounted Ranger Battalion, an early version of the cavalry in the U.S. Army was created out of frontiersmen who enlisted for one year and provided their own rifles and horses. The battalion was organized into six companies of 100 men each that was led by Major Henry Dodge. After their enlistment expired there was no creation of a second battalion. Instead, the battalion was reorganized into the 1st Dragoon Regiment. The most famous Rangers of the American Civil War fought for the Confederate States Army. In January 1863, John S. Mosby was given command of the 43rd Battalion, Partisan Rangers, a fast-striking cavalry unit. Mosby’s Rangers became infamous among Union soldiers due to their frequent raids on supply trains and couriers. Mosby believed that by resorting to aggressive action he could compel his enemies to guard a hundred points. He would then attack one of the weakest points and be assured numerical superiority. Their reputation was heightened when Mosby and 29 of his Rangers performed a raid deep into Union territory on March 9, 1863, and captured Brigadier General Edwin H. Stoughton and two other officers. Weeks after the surrender of the Confederate Army Mosby disbanded his unit rather than formally surrender. Another Virginian Confederate commander, Turner Ashby, led an irregular cavalry unit known as the Mountain Rangers, who became known for their ability to harass Union soldiers. Terry’s Texas Rangers was another famous Confederate cavalry force which incorporated ranger tactics, as did similar units led by John Hunt Morgan, J.E.B. Stuart, and Nathan Bedford Forrest. Because of the daring exploits and intrepidity of these Confederate rangers, the Confederate Battle flag was incorporated into the official Ranger crest and insignia for many years, until a modern revision replaced it. The most successful attacks against Mosby’s Rangers were carried out by the Union Army’s Mean’s Rangers. Mean’s Rangers became famous when they successfully captured General James Longstreet‘s ammunition train. They later fought and captured a portion of Mosby’s force. Major General Lucian Truscott of the U.S. Army was a liaison officer with the British General Staff. In 1942 he submitted a proposal to General George Marshall that an American unit be set up “along the lines of the British Commandos“. World War II “lozenge” patch. On June 19, 1942 the 1st Ranger Battalion was sanctioned, recruited, and began training in Carrickfergus, Northern Ireland. 80 percent of the original Rangers came from the 34th Infantry Division. A select fifty or so of the first U.S. Rangers were dispersed through the British Commandos for the Dieppe Raid in August 1942; these were the first American soldiers to see ground combat in the European theater. Together with the ensuing 3rd and 4th Ranger Battalions they fought in North Africa and Italy commanded by Colonel William Orlando Darby until the Battle of Cisterna (29 January 1944) when most of the Rangers of the 1st and 3rd Battalions were captured. Of the 767 men in the battalions 761 were killed or captured. The remaining Rangers were absorbed into the Canadian-American First Special Service Force under Brigadier General Robert T. Frederick. They were then instrumental in operations in and around the Anzio beachhead that followed Operation Shingle. The 29th Ranger Battalion was a temporary unit made of selected volunteers from the 29th Infantry Division that was in existence from December 1942 to November 1943. 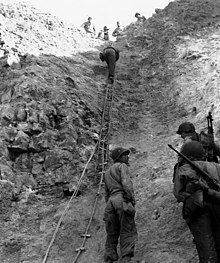 Before the 5th Ranger Battalion landing on Dog White sector on Omaha Beach, during the Invasion of Normandy, the 2nd Ranger Battalion scaled the 90-foot (27 m) cliffs of Pointe du Hoc, a few miles to the west, to destroy a five-gun battery of captured French Canon de 155 mm GPF guns. The gun positions were empty on the day and the weapons had been removed some time before to allow the construction of casements in their place. (one of the gun positions was destroyed by the RAF in May—prior to D-day—leaving 5 missing guns). Under constant fire during their climb, they encountered only a small company of Germans on the cliffs and subsequently discovered a group of field artillery weapons in trees some 1,000 yards (910 m) to the rear. The guns were disabled and destroyed, and the Rangers then cut and held the main road for two days before being relieved. All whilst being reinforced by members of the 5th Ranger Battalion who arrived at 6pm on the 6th of June from Omaha Beach. More 5th Ranger units arrived by sea on the 7th of June when some of their wounded along with German prisoners were taken away to the waiting ships. Currently no memorial exists at Pointe du Hoc to commemorate the actions of the 5th Rangers at Pointe du Hoc—only one to the members of the 2nd Battalion. However, the American Battle Monuments Commission (ABMC) have said that they will correct this error in the near future. The 5th Rangers along with members of the 2nd Btn (with 2 × 75 mm mobile half tracks) then went on to attack the Maisy battery which was still firing on both Omaha and Utah beaches. The 23 members of the 5th Battalion who reached and re-enforced the 2nd Battalion men at Pointe du Hoc on the 6th of June won the Presidential Unit Citation for the 5th Rangers—for the “Deepest penetration of any combat unit on D-day”. Major Richard Sullivan (officer commanding) won the Distinguished Service Cross for three actions in Normandy: the landings on Omaha Beach, the relief of Point du Hoc and the successful capture of the Maisy Battery. 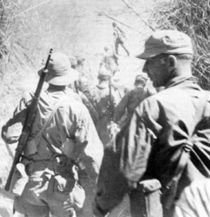 Rangers en route to liberate allied soldiers in the Cabanatuan POW camp. Two separate Ranger units fought the war in the Pacific Theater. The 98th Field Artillery Battalion was formed on 16 December 1940 and activated at Fort Lewis in January 1941. On 26 September 1944, they were converted from field artillery to light infantry and became 6th Ranger Battalion. 6th Ranger Battalion led the invasion of the Philippines and executed the raid on the Cabanatuan POW camp. They continued fighting in the Philippines until they were deactivated on 30 December 1945, in Japan. After the first Quebec Conference, the 5307th Composite Unit (provisional) was formed with Frank Merrill as the commander, its 2,997 officers and men became popularly known as Merrill’s Marauders. They began training in India on 31 October 1943. Much of the Marauders training was based on Major General Orde Wingateof the British Army who specialized in deep penetration raids behind Japanese lines. The 5307th Composite Group was composed of the six color-coded combat teams that would become part of modern Ranger heraldry, they fought against the Japanese during the Burma Campaign. In February 1944, the Marauders began a 1,000-mile (1,600 km) march over the Himalayan mountain range and through the Burmese jungle to strike behind the Japanese lines. By March, they had managed to cut off Japanese forces in Maingkwan and cut their supply lines in the Hukawng Valley. On 17 May, the Marauders and Chinese forces captured the Myitkyina airfield, the only all-weather airfield in Burma. For their actions, every member of the unit received the Bronze Star. 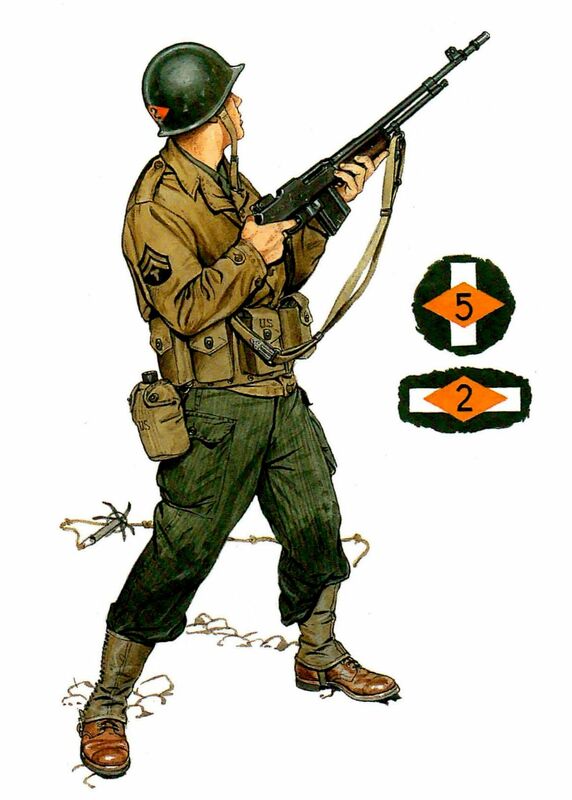 On 6 June 1944, during the assault landing on Dog White sector of Omaha Beach as part of the invasion of Normandy, then-Brigadier General Norman Cota (assistant CO of the 29th ID) approached Major Max Schneider, CO of the 5th Ranger Battalion and asked “What outfit is this?”, Schneider answered “5th Rangers, Sir!” To this, Cota replied “Well, goddamnit, if you’re Rangers, lead the way!” From this, the Ranger motto—”Rangers lead the way!”—was born. 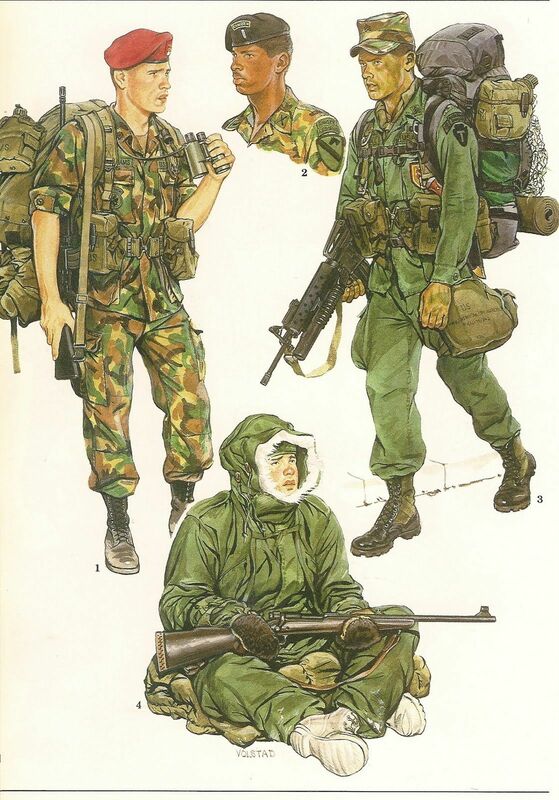 At the outbreak of the Korean War, a unique Ranger unit was formed. Led by Second Lieutenant Ralph Puckett, the Eighth Army Ranger Company was created in August 1950. It served as the role model for the rest of the soon to be formed Ranger units. 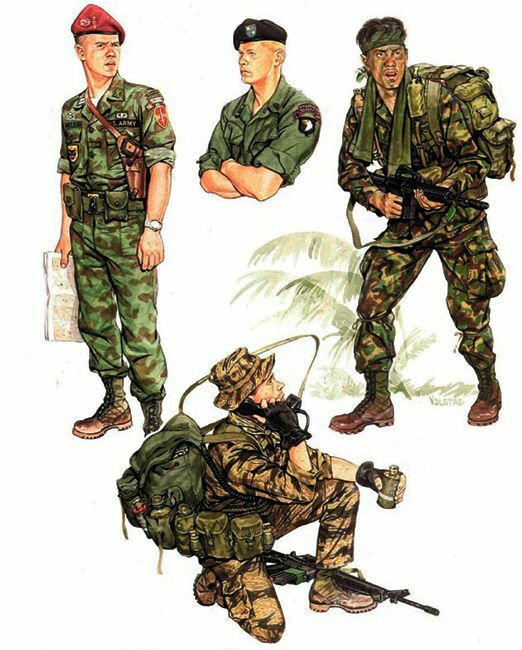 Instead of being organized into self-contained battalions, the Ranger units of the Korean and Vietnam eras were organized into companies and then attached to larger units, to serve as organic special operations units. In total, sixteen additional Ranger companies were formed in the next seven months: Eighth Army Raider Company and First through Fifteenth Ranger Company. The Army Chief of Staff assigned the Ranger training program at Fort Benning to Colonel John Gibson Van Houten. The program eventually split to include a training program located in Korea. 3rd Ranger Company and the 7th Ranger Company were tasked to train new Rangers. The next four Ranger companies were formed 28 October 1950. Soldiers from the 505th Airborne Regiment and the 82nd Airborne‘s 80th Anti-aircraft Artillery Battalion volunteered and, after initially being designated the 4th Ranger Company, became the 2nd Ranger Company—the only all-black Ranger unit in United States history. After the four companies had begun their training, they were joined by the 5th–8th Ranger companies on 20 November 1950. 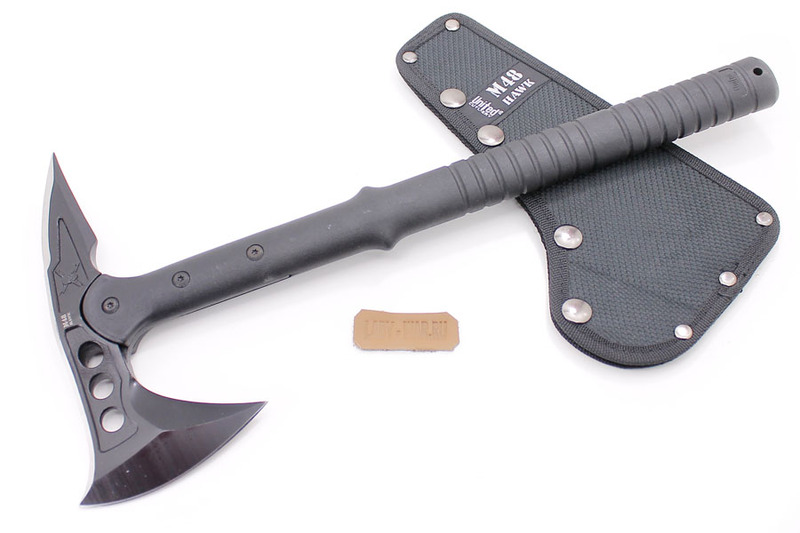 During the course of the war, the Rangers patrolled and probed, scouted and destroyed, attacked and ambushed the Communist Chinese and North Korean enemy. The 1st Rangers destroyed the 12th North Korean Division headquarters in a daring night raid. The 2nd and 4th Rangers made a combat airborne assault near Munsan where Life Magazine reported that Allied troops were now patrolling north of the 38th Parallel. Crucially, the 2nd Rangers plugged the gap made by the retreating Allied forces, the 5th Ranger Company helped stop the Chinese 5th Phase Offensive. 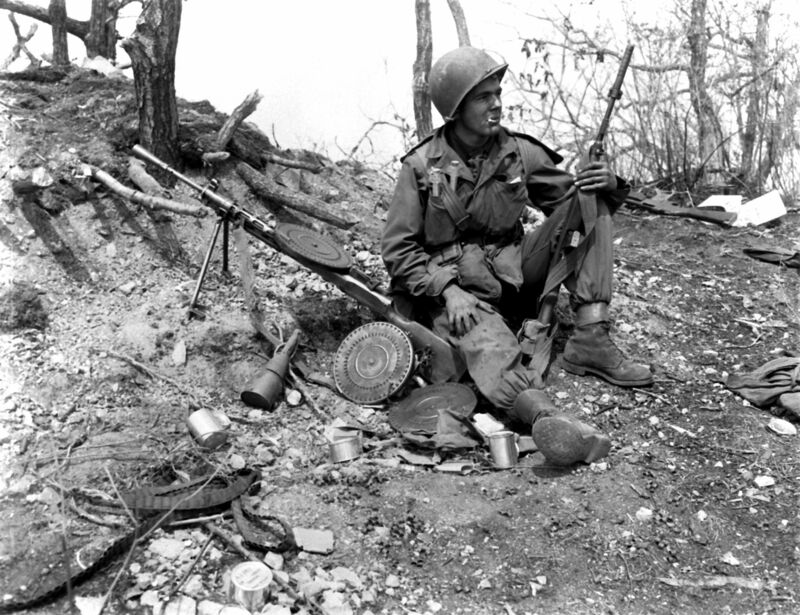 As in World War II, after the Korean War, the Rangers were disbanded. Long Range Reconnaissance Patrol (LRRP) and Long Range Patrol companies (commonly known as Lurps) were formed by the U.S. Army in the early 1960s in West Germany to provide small, heavily armed reconnaissance teams to patrol deep in enemy-held territory in case of war with the Soviet Union and its Warsaw Pact allies. April 7, 1968. Company E LRP team at LZ Stud awaiting Khe Sanh patrol. In Vietnam LRRP platoons and companies were attached to every brigade and division where they perfected the art of long-range patrolling. Since satellite communications were a thing of the future, one of the most daring long-range penetration operations of the Vietnam War was launched on April 19, 1968, by members of the 1st Air Cavalry Division‘s, Company E, 52nd Infantry (LRP), (redesignated Co. H, Ranger), against the NVA when they seized “Signal Hill” the name attributed to the peak of Dong Re Lao Mountain, a densely forested 4,879-foot (1,487 m) mountain, midway in A Shau Valley, so the 1st and 3rd Brigades, slugging it out hidden deep behind the towering wall of mountains, could communicate with Camp Evans near the coast or with approaching aircraft. On 1 January 1969, under the new U.S. Army Combat Arms Regimental System (CARS), these units were redesignated “Ranger” in South Vietnam within the 75th Infantry Regiment (Ranger) and all replacement personnel were mandatory airborne qualified. Fifteen companies of Rangers were raised from “Lurp” units—which had been performing missions in Europe since the early 1960s and in Vietnam since 1966. The genealogy of this new Regiment was linked to Merrill’s Marauders. The Rangers were organized as independent companies: A, B, C, D, E, F, G, H, I, K, L, M, N, O and P, with one notable exception, since 1816, U.S. Army units have not included a Juliet or “J” company, (the reason for this is because, in olden times, the letter ‘J’ looked too similar to the letter ‘I’). Companies A and B were respectively assigned to V Corps at Fort Hood, Texas, and VII Corps at Fort Lewis, Washington. In addition to scouting and reconnoitering roles for their parent formations, Ranger units provided terrain-assessment and tactical or special security missions; undertook recovery operations to locate and retrieve prisoners of war; captured enemy soldiers for interrogation and intelligence-gathering purposes; tapped North Vietnamese Army and Vietcong wire communications lines in their established base areas along the Ho Chi Minh trail; and mined enemy trails as well as motor-vehicle transport routes. To provide tactical skills and patrol expertise all LRRP/Ranger team leaders and most assistant team leaders were graduates of the 5th Special Forces Group Recondo School at Nha Trang Vietnam. Ranger students in their final week of U.S. Army Ranger School. Ranger Training began in September 1950 at Fort Benning Georgia “with the formation and training of 17 Airborne Companies by the Ranger Training Command”. The first class graduated from Ranger training in November 1950.” The United States Army’s Infantry School officially established the Ranger Department in December 1951. Under the Ranger Department, the first Ranger School Class was conducted in January–March 1952, with a graduation date of 1 March 1952. Its duration was 59 days. :28–29 At the time, Ranger training was voluntary. In 1966, a panel headed by General Ralph E. Haines, Jr. recommended making Ranger training mandatory for all Regular Army officers upon commissioning. “On 16 August 1966, the Chief of Staff of the Army, General Harold K. Johnson, directed it so.” This policy was implemented in July 1967. It was rescinded on 21 June 1972 by General William Westmoreland. Once again, Ranger training was voluntary. :28–29 In August 1987, the Ranger Department was split from the Infantry School and the Ranger Training Brigade was established, commanded by Brigadier General (R) James Emory Mace. The Ranger Companies that made up the Ranger Department became the current training units—the 4th, 5th and 6th Ranger Training Battalions. :29 These units conduct the United States Army’s Ranger School at various locations at Fort Benning, Georgia, Camp Frank Merrill, near Dahlonega, Georgia, and Camp James Rudder at Eglin Air Force Base‘s Auxiliary Field No. 6/Biancur Field, in northwest Florida. As of 2011, the school is 61 days in duration. In August 2015, two women graduated from Ranger School; they were the “…first females to successfully complete the notoriously gruelling program”. After the Vietnam War, division and brigade commanders determined that the U.S. Army needed an elite, rapidly deployable light infantry, so on January 31, 1974 General Creighton Abrams asked General Kenneth C. Leuer to activate, organize, train and command the first battalion sized Ranger unit since World War II. Initially, the 1st Ranger Battalion was constituted; because of its success, eight months later, October 1, 1974, the 2nd Ranger Battalion was constituted, and in 1984 the 3rd Ranger Battalion and their regimental headquarters were created.In 1986, the 75th Ranger Regiment was formed and their military lineage formally authorized. The 75th Ranger Regiment, comprising three battalions, is the premier light-infantry of the U.S. Army, a combination of special operations and elite airborne light infantry. The regiment is a flexible, highly trained and rapid light infantry unit specialized to be employed against any special operations targets. All Rangers—whether they are in the 75th Ranger Regiment, or Ranger School, or both—are taught to live by the Ranger Creed. Primary tasks include: direct action, national and international emergency crisis response, airfield seizure, airborne& air assault operations, special reconnaissance, intelligence & counter intelligence, combat search and rescue, personnel recovery & hostage rescue, joint special operations, and counter terrorism. The 4th, 5th, and 6th Ranger Battalions were re-activated as the Ranger Training Brigade, the cadre of instructors of the contemporary Ranger School; moreover, because they are parts of a TRADOC school, the 4th, 5th, and 6th battalions are not a part of the 75th Ranger Regiment. The Rangers have participated in numerous operations throughout modern history. In 1980, the Rangers were involved with Operation Eagle Claw, the 1980 second rescue attempt of American hostages in Tehran, Iran. 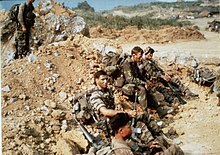 In 1983, the 1st and 2nd Ranger Battalions conducted Operation Urgent Fury in Grenada. All three Ranger battalions, with a headquarters element, participated in the U.S. invasion of Panama (Operation Just Cause) in 1989. In 1991 Bravo Company, the first platoon and Anti-Tank section from Alpha Company, 1st Battalion was deployed in the Persian Gulf War (Operations Desert Storm and Desert Shield). Bravo Company, 3rd Ranger Battalion was the base unit of Task Force Ranger in Operation Gothic Serpent, in Somalia in 1993, concurrent with Operation Restore Hope. In 1994, soldiers from the 1st, 2nd, and 3rd Ranger Battalions deployed to Haiti (before the operation’s cancellation. The force was recalled 5 miles (8.0 km) from the Haitian coast.). The 3rd Ranger Battalion supported the initial war effort in Afghanistan, in 2001. The Ranger Regiment has been involved in multiple deployments in support of Operation Iraqi Freedom since 2003. Rangers from 1st Battalion, 75th Ranger Regiment, operating in Ghazni Province, Afghanistan, 13 February 2012. In response to the September 11 terrorist strikes, the United States launched the War on Terror with the invasion of Afghanistan in October 2001. 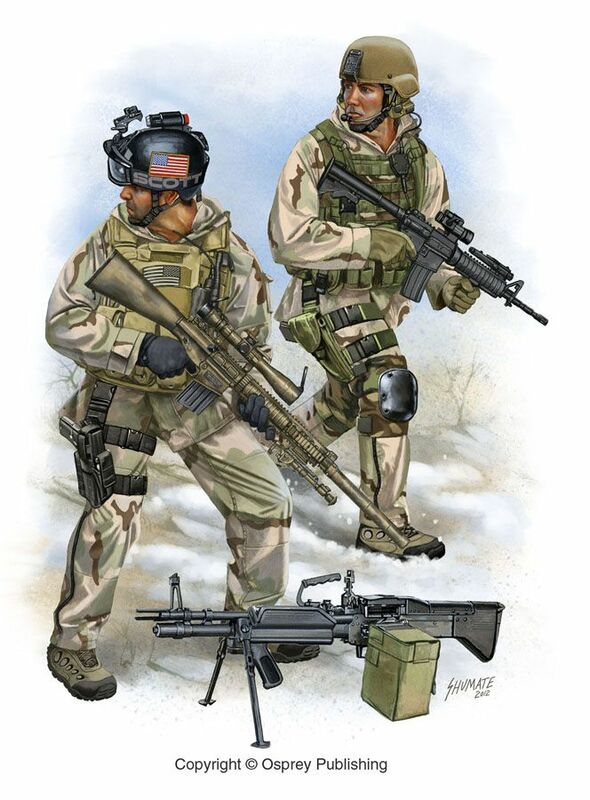 Special operations units such as the Rangers, along with some CIA officers and Navy SEALs were the first U.S. forces on Afghan soil during Operation Enduring Freedom. This was the first large Ranger operation since the Battle of Mogadishu. The Rangers met with success during the invasion and, along with the other U.S. Special Operations forces, played an integral part in overthrowing the Talibangovernment. They also participated in the biggest firefight of Operation Anacondain 2002 at Takur Ghar. In 2003, when the United States invaded Iraq, the Rangers were among those sent in. During the beginning of the war, they faced some of Iraq’s elite Republican Guard units. Rangers were also involved in the rescue of American prisoner of war POW Private First Class Jessica Lynch. The 75th Ranger Regiment has been one of the few units to have members continuously deployed in Iraq and Afghanistan. Organizations both use and define the term “Ranger” in different ways. For example, the annual Best Ranger Competition, hosted by the Ranger Training Brigade, the title “Best Ranger” can be won by any Ranger qualified entrants from any unit in the U.S. military. For an individual to be inducted into the U.S. Army Ranger Association’s “Ranger Hall of Fame” they “must have served in a Ranger unit in combat or be a successful graduate of the U.S. Army Ranger School.” The Ranger Association further clarifies the type of unit: “A Ranger unit is defined as those Army units recognized in Ranger lineage or history.” Acceptance into the U.S. Army Ranger Association is limited to “Rangers that have earned the U.S. Army Ranger tab, WWII Rangers, Korean War Rangers, Vietnam War Rangers, all Rangers that participated in Operations Urgent Fury, Just Cause, Desert Storm, Restore Hope, Enduring Freedom, and all Rangers who have served honorably for at least one year in a recognized Ranger unit.” The term “Ranger” can therefore be found deployed in quite subtle phrasing such as, Ranger qualified, Ranger unit, Ranger mission, etc. LTG David Barno– Former Commander, Combined Forces Command-Afghanistan and former commander of 2nd Ranger Battalion. COL Charles Alvin Beckwith– Ranger-qualified Airborne Infantry and Special Forces officer, the creator and first commanding officer of Delta Force. Beckwith helped shape the modern Ranger School, transforming the Florida phase from a WW2-era to a modern-era training regimen. GEN Wesley Clark– Former Supreme Allied Commander in Europe and Democratic Presidential Candidate. COL William Orlando Darby– Established and commanded “Darby’s Rangers” that later evolved into the U.S. Army Rangers. SFC Jason Everman-Former member of Nirvana_band and Soundgarden. MSG Gary Gordon– Ranger and, ultimately, 1st SFOD-D sniper; Medal of Honor recipient, killed during the Battle of Mogadishu. COL Charles N. Hunter– Member of Unit Galahad, Merrill’s Marauders, from the beginning as its ranking or second ranking officer, had commanded it during its times of greatest trial, and contributed to its record. Nicholas Irving– Former sniper in the 3rd Ranger Battalion. Served in Iraq and Afghanistan. Noted for killing thirty-three enemy combatants in four months. Regarded as one of the deadliest snipers in U.S. History. GEN William F. Kernan– 6th Colonel of the 75th Ranger Regiment. BG James Emory Mace, recipient of Distinguished Service Cross (Vietnam), 2nd Ranger Battalion Commander and the first Commander of the Ranger Training Brigade; 15th Annual Ranger Hall of Fame inductee 2007. Peter Kassig– Aid worker, taken hostage and ultimately beheaded by The Islamic State. CPT Kris Kristofferson– Former Army Ranger. Singer/songwriter, actor. MG Paul LaCamera– Commander, 4th Infantry Division; former Commander, 75th Ranger Regiment (2005—2007). SFC Matt Larsen– Father of the Modern Army Combatives system, founder of the United States Army Combatives School. SP4 Robert D. Law– Served in the Vietnam War, Medal of Honor recipient (posthumous). MG Kenneth C. Leuer- Reconstituted the first battalion sized Ranger unit in 1974, chairman of the National Ranger Memorial Foundation, 1956 NCAA wrestling champion from University of Iowa, member of Iowa Beta chapter of Sigma Alpha Epsilon fraternity. CSM Gary L. Littrell– Medal of Honor recipient. GEN Stanley A. McChrystal– Former Commander, International Security Assistance Force (ISAF) and U.S. Forces Afghanistan (USFOR-A); former Director of the Joint Staff; former Commander of Joint Special Operations Command(JSOC). MG Frank D. Merrill– Led the 5307th CUP (Composite Unit [Provisional]) aka Merrill’s Marauders during World War II. COL Henry Mucci– Led and trained the 6th Ranger Battalion, responsible for the Raid at Cabanatuan. 1LT Kelly Perdew– Winner of the second season of The Apprentice. MSG Leroy Petry– United States Army Ranger, 75th Regiment. Medal of Honor recipient. CPT Greg Plitt– Fitness model and actor. GEN Colin Powell– Former National Security Adviser, Commander, United States Army Forces Command, Chairman of the Joint Chiefs of Staff, and United States Secretary of State. SSG Robert Pruden– Served in the Vietnam War, Medal of Honor recipient (posthumous). COL Ralph Puckett– Honorary Colonel of the 75th Ranger Regiment from January 1996 to January 2008. SSG Laszlo Rabel– Served in the Vietnam War, Medal of Honor recipient (posthumous). CPT Jack Reed– A U.S. Senator from Rhode Island. T/Sgt. David Richardson– Ranger who served with Merrill’s Marauders and led a prominent career as a journalist. Col. John W. Ripley– The first U.S. Marine to be inducted into the Ranger Hall of Fame, as well as being awarded the Navy Cross for extraordinary heroism in destroying the Dong Ha bridge during the April 1972 North Vietnamese Easter Offensive. COL James Earl Rudder– Commander of the 2nd Ranger Battalion during World War II and later president of Texas A&M University, led the Ranger assault on Pointe du Hoc on D-Day. Perry Satullo- Professional wrestler known as Perry Saturn. SFC Randy Shughart– Started his Army career as a Ranger, later being selected for Delta Force. He was a Medal of Honor recipient sniper who was killed during the Battle of Mogadishu. COL Arthur D. Simons– Army Ranger in World War II and later leader of Operation Ivory Coast, an effort to rescue prisoners of war in Vietnam. Phil Stern– World-famous Hollywood and jazz photographer who joined Darby’s Rangers as an official photographer during World War II. Keni Thomas– Former Army Ranger. Country music singer. Pat Tillman– American football player who left his professional career in the wake of the September 11 attacks. SGT Stephen Trujillo– 2d Ranger Battalion medic awarded the first Silver Star of the post-Vietnam era for gallantry in action during Operation Urgent Fury. CPT Alejandro Villanueva– NFL player for the Pittsburgh Steelers. Served in the 1st Ranger Battalion in Afghanistan. Vincent Viola– former chairman of the New York Mercantile Exchange, presumptive nominee for Secretary of the Army. 75th Ranger Regiment Distinctive Unit Insignia. The 75th Ranger Regiment has been credited with numerous campaigns from World War II onwards. In World War II, they participated in 16 major campaigns, spearheading the campaigns in French Morocco, Sicily, Naples-Foggia, Anzio and Leyte. During the Vietnam War, they received campaign participation streamers for every campaign in the war. In modern times, the regiment received streamers with arrowheads (denoting conflicts they spearheaded) for Grenada and Panama. To date, the Rangers have earned six Presidential Unit Citations, nine Valorous Unit Awards, and four Meritorious Unit Commendations, the most recent of which were earned in Vietnam and Haditha, Iraq, respectively.